More than 50 people from across Europe will meet in Riga (Latvia) for the 2018 “Bridges” conference. 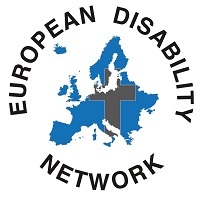 The European Disability Network “desires to see a dynamic disability ministry in every European country, resulting in increasing numbers of people with disabilities finding faith in Christ and being fully involved in churches which are actively inclusive”. Previous conferences were held in Vienna (2015) and Stuttgart (2012). The EDN is communicating the message that people with disabilities should be able to participate in every Christian community. “We need people who do not have a disability to work with us”, member of the EDN steering group Thérèse Swinters told Evangelical Focus. “The so called non-disabled people need to learn and be aware of the fact that people with disabilities are there, sometimes need some help, and would like to work alongside those who are not disabled”. The programme of the gathering in Riga will revolve around how the foundation of Europe’s culture and Christian faith, “can give us new hope and perspective in constructing and building up our future together in new relations”. Seminars will include themes such as “More Than Words – Reaching People with Learning Disabilities”, “Inclusion Makes an Impact”, “How to Start and Develop Services for People with Disabilities?”, “Does Time Heal All Wounds?”, “Trusting God with finances”, “Ministry branding and marketing”, “Vision from blind people: Blindness and church”, “Bridge between church and disability, what they can give each other”, “How a person with disability can change Europe?” and “A biblical view of disability”. The speakers include: Pete Winmill (United Kingdom), Roman Scamoni (Austria), Sergey and Nataly Bolchuk (Ukraine), and Ineta Lansdowne (Latvia). The registration for the Brdiges 2018 conference is still open. All the information about the conference is available on the EDN wesbite, in English, Russian and Latvian.